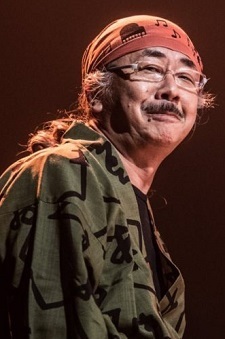 Composer Nobuo Uematsu has announced via his Line blog that he will take a break sometime throughout this year, citing that his physical condition is getting weak from composing and holding many concerts. He mentions that he hopes to return soon after taking break. Uematsu is a well-known game music composer who has composed most of Final Fantasy series and more. For anime, he has composed music for series such as Aa Megami-sama! Movie, Blue Dragon series, and Granblue Fantasy The Animation. He owns his own record company Dog Ear Records and is also a part of the band Earthbound Papas. I do think it's a good of him the brakeline to drag, before it getting worse. He should his deserved time relaxed and healthy take, his work can wait for it. He needs a break, I mean he's been composing music for FF games almost nonstop for decades. Rest is long overdue. Excellent composer, take your time. All-time favorite video game composer ever since my childhood. Hope he gets well!